DigitalSA is a software development company focusing on niche products aimed at SME markets and it develops products on an exclusive basis for Clark Group. Our product DigiVoucher allows for SMS distribution of Virtual Airtime as well as Cell2Cell banking. It is the ideal solution for countries where no formal banking infrastructure exists. DigiSYS is the airtime management and billing platform that was developed to allow us and the buyers of the system to function as mini service provider or Virtual Private Network. MTN billing platform for Siyaya project and Telemasters - a least cost routing company utilizing the system to interpret billing records from networks and bill their client base as well as supplying them with full reporting on their airtime usage enquiries. Auto captures every transaction; Updates balance after every transaction; Creates full audit trails and reports for the system owner. The system also allows for cell2cell banking if allowed in any given country. - The Callback system logs incoming calls from either the GSM network or TELKOM fixed lines provided Caller-Line-Identification (CLI) is activated. - Incoming Calls/ SMS messages are analyzed and stored in date and time sequence in the receiving database. Water and electricity monitoring system that sends SMS’s when water levels in reservoirs are too high or too low. It also sends SMS notifications when power is cut at substations or any other machinery or place where constant power is crucial such as hospitals, server rooms, large cooling rooms etc. In April 2003 Fax2email was appointed by SafikaTEL and Internet Solutions to assist in the roll out and administration of a newly launched product, Fax2email in the South African market place. Fax2email's sister company, Digital SA developed a software management system used by Safikatel to process CDR's from Telkom, and manage agent commissions on as many levels as required. Fax2email using an E-billing application that was custom designed by Digital SA to handle email2fax billing on a Pre and Post Paid basis, has been handling all billing and collections on behalf of Safikatel for the past 3 years. Fax2email also does billing and collections on behalf of some of its resellers. We have successfully completed several multinational rollouts and we process faxes on a daily basis for companies such as SAB, ABI, SA Post Offices, Edcon and FNB and on behalf of more than 1 million individual subscribers and SME's. Clark Properties is owned and occupied by the Group and Clive Rice, and is called Claric Place. We also have other companies as tenants. Home911 - a pioneer South African company: From simple idea to world-class life-saving product. The initial Home911 concept was born around 2005 when one of the original programmers within the group started researching the idea of developing a cell phone-based alert mechanism to help safeguard his parents who were living in a remote rural area at the time. The idea caught the attention and vision of Nigel Hamilton, head of Digifax and a highly successful entrepreneur in his own right in the electronics and digital industry. Pooling their expertise and harnessing the wealth of intellectual and digital resources already available within the greater Clark Group, the idea was researched and developed into the world-class product that it is today – including a thorough two-year trial-testing period until 2010 and subsequent official launch mid 2011. Home911 is the first to combine three of the biggest growth industries in the world today, being mobile phones, personal and business safety, and social/referral marketing. Home911 does not employ any sales people nor use conventional marketing channels such as television etc. The very nature of the Home911 product is ‘social’ so it makes good sense to channel the product’s marketing slice straight back to Home911’s loyal product users as they share it with others. It is also the most cost-effective form of marketing as the costs are paid for AFTER the product has been moved to a new customer, not before as in conventional marketing. The result is an absolute win-win scenario for the Home911 product user, even more so if one considers the global trend of economic responsibility being shifted more and more onto the individual. It is Home911’s vision not only to help families and businesses safeguard themselves in the most effective, most accessible, and most affordable way, but also to grow Home911 into one of the simplest and most exciting entrepreneurial opportunities ever available to the people of South Africa and elsewhere. 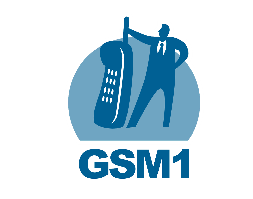 GSM1 is a division of Digital SA. GSM1 is the only one stop technology shop catering for all the needs of wholesale players in the GSM payphone Industry. GSM1 manufactures payphone hardware and develops payphone management software. Packaged with your company branding. Unit has all functionalities of the most advanced phones in the market place plus added features. Ability to manage any type of phone that is SMS enabled. This allows you to manage different types of units all from one platform. Integrates to banks allowing auto purse updates. Interprets CDR's from networks and compares with records from phones eliminating fraud. Distributes Virtual Vouchers via payphones and normal handsets. Facilitates printing of Vouchers and confirmation of financial transactions etc. Money transfer tool for collecting airtime payments and auto updates of purses in countries where no formal banking infrastructure exists.